Global Travel Media » Blog Archive » Welcome to Daehak-ro Festival 2018! Welcome to Daehak-ro Festival 2018! Daehak-ro Performing arts festival is returning for its second year with some of Korea’s most famous live performances. Lasting from the 28th September to 31st October 2018, the month-long festival brings together 50 plays, musicals and nonverbal performances of all kinds of genres. Much like Broadway in New York, Daehak-ro is Seoul’s centre of performing arts with over 160 theatres and live-cafes located in the area. During the festival, many of the popular performances will be available with English subtitles as well as special meet and greet with some of the actors. With so many shows to choose from, here are some key performances to keep an eye out for this year. With many well-loved musicals returning to the festival, you can watch some of Daehak-ro’s staples such as ‘Finding Mr Destiny’, ‘Love comes with the Rain’ and ‘Only you’. The musical ‘1446’ will be a new addition this year and will take you on a journey through Korea’s history and the existence of King Sejong. The musical deals with some of the life achievements of the king of Joseon (Korean dynasty) as well as the difficulties and relentless pursuit in developing the Korean alphabet. ‘The Man Who Laughs’ is arguably one of the most anticipated musicals of the year. 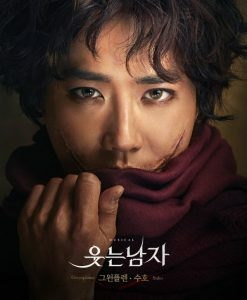 The musical is based on Victor Hugo’s 1869 novel ‘L’Homme Qui rit’ and stars EXO’s Suho who will be playing the main lead Gwynplaine. The storyline follows a man whose mouth has been deformed into a permanent smile since childhood. This masterpiece took 5 years in the making and over 20 million dollars investment to complete. The production brings together global big names in musical theatre, with Robert Johanson, the director of <Rebecca> <Elisabeth> leading the team. As well as Disney’s costume designer Gregory A. Poplyk well known for his designs in < Frozen> and <Phantom>. Non-verbal performances have always been one of the highlights of the festival and are a great way to bring down the language barrier and enjoy upbeat music, dance and easy storylines! Starting off with the opening ceremony, this is a perfect chance to get a taste of all the best Korean performances on one stage. The ceremony will be hosted by the famous musical actor Kai and presents a delightful medley of 5 musicals and non-verbal performances as well as an opening act from the top taekwondo crew in Korea. The event will be free entry for all and have subtitles available in 3 languages for international visitors. Nanta’ is Korea’s first non-verbal performance that premiered back in 1997and the longest running show in Korea. It has won numerous awards over the years and is a crowd favourite for all ages. The story is set in a kitchen where the chefs take you on a culinary adventure whipping up various Korean cuisines. It is an exciting comic performance showcasing beats derived from Korea’s traditional percussion ‘samulnori’ using ordinary objects.